The Road Warriors were among the first to introduce bodybuilding-type muscularity to professional wrestling. The wrestling tag team was comprised of Hawk (Mike Hegstrand) and Animal (Joe Laurinaitis). Hegstrand died in 2003 of an apparent heart attack at age 46. The popular media explanation for the numerous early deaths of professional wrestlers usually focuses on their use of anabolic steroids. Steroids have been blamed as the culprit in Hegstand’s death as well. Joe “Animal” Laurinaitis acknowledged the use of anabolic steroids by the Road Warriors but strongly denied that steroids were the cause of Hegstrand’s death. He told WWE Radio recently (as reported by Rick Rockwell) that the use of recreational drugs such as cocaine and Xanax were to blame for Hegstrand’s death and the deaths of many other wrestlers. 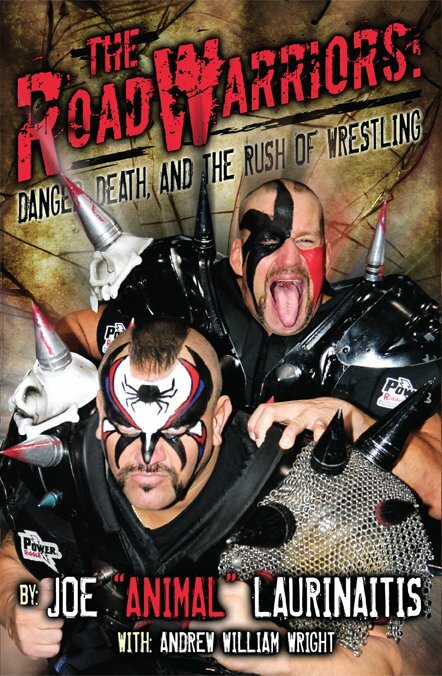 Laurinaitis recently collaborated with Andrew William Wright to recount his experiences with “Hawk” as a member of the dynamic wrestling tag team in “The Road Warriors: Danger, Death and the Rush of Wrestling”.